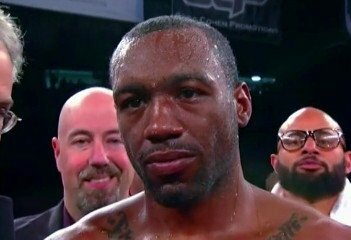 By Bill Phanco: WBA World junior middleweight champion Austin Trout (26-0, 14 KO’s) is waiting to find out if Golden Boy Promotions will allow him to fight one of their most prized assets with their promotional company WBC junior middleweight champion Saul “Canelo” Alvarez (41-0-1, 30 KO’s) and Trout sees a lot of flaws in the young 22-year-old Alvarez’s game that he thinks he can take advantage of if Golden Boy gives him the chance to face the young Mexican champion. Golden Boy has really lucked out with Canelo because the red-haired Mexican fighter is hugely popular in Mexico despite the fact that he’s faced a lot of old fighters and almost zero junior middleweights. It’s kind of strange to see a champion having fought almost no real junior middleweights even though he’s the WBC 154 pound champion. Golden Boy doesn’t have to do much with Canelo in terms of match-making because his Mexican fan base tune in to all of his fights even if he’s facing a 40-year-old welterweight. This is why Trout may not win the Canelo sweepstakes because Golden Boy doesn’t have to put him in with guys from his own division in order for him to still get good ratings. Trout did a number on Miguel Cotto in beating him by a 12 round decision on December 1st of this month. You can say that Trout might have done too good of a job in beating him because he might have scared away Golden Boy Promotions in the process. Richard Schaefer, the CEO of Golden Boy, was almost stuttering when being asked if he will put Canelo in with Trout, saying that Trout’s win over Cotto still doesn’t mean he deserves the fight with Canelo, and that it still doesn’t mean that Canelo won’t fight Cotto. I guess when you’re building a super star like Canelo, you don’t want to put him in with guys that could destroy those plans by beating him. Trout looks good enough to beat Canelo if given the chance and he probably won’t get that chance.